As a life-long fan of music, especially rock, it pains me that I’ve stopped listening to Pink Floyd. But the misguided geopolitical musings of Roger Waters on the Israeli-Palestinian conflict, and his stubborn insistence that all artists join him in a cultural boycott of Israel, don’t leave me much choice. I’ve always vehemently disagreed with Waters’ boycott approach and his views on Israel, but didn’t feel that should stop me from enjoying the works of a band that’s meant so much to rock history. But he’s taken it to new extremes. 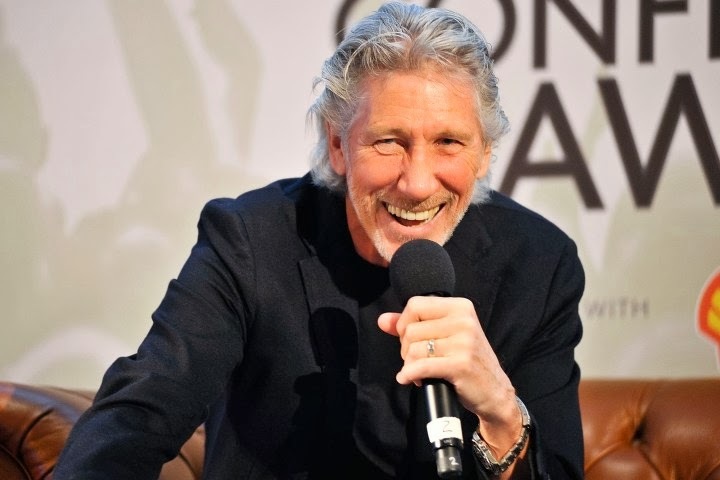 His recent interview with Frank Barat of Counterpunch makes it clear that Roger Waters isn’t just wrong on Israeli-Palestinian issues, he’s trading in classic anti-Semitic stereotypes. Waters also told Counterpunch that other artists don’t publicly echo his positions on the Israel-Palestinian conflict because they’re “afraid” of the oh-so-powerful Jewish lobby in the United States, especially in the music industry. Naturally, he doesn’t offer specific names or incidents to back up this tired claim, only the paranoid insistence that nameless friends are concerned for his life because of the stand he is taking. The reason other artists don’t join Roger Waters in his cultural boycott is simple: He’s dead wrong. Israel is the only democratic country in the Middle East — and the only country that recognizes women’s rights, gay rights and equal rights for all minorities including Arabs and Christians. While many people in Israel may disagree with the Israeli government, Israelis (including Arab citizens) have the full right to speak out against their government and change it by voting out their elected representatives. I don’t expect Waters to change his views — but I’m appalled that no one calls him out on his rancid hate. What consequences has Roger Waters faced for his far more extreme words and positions? As far as I can tell, none. He continues to tour extensively throughout the world, making tens of millions. He was asked to play in the high-profile Madison Square Garden concert a year ago for Hurricane Sandy victims. He gave the keynote address at Billboard’s 2013 Annual Touring Conference. His music (and the music of Pink Floyd) continues to be played everywhere. In short, Waters has gotten a “free pass” from the music industry and the world, despite his hateful views — which, had he expressed them about any other religious or ethnic group, or about gays, would certainly bring much more outrage from the media and his fans. I strongly urge Roger Waters to reconsider his bigoted and malicious words and opinions about Jews and the state of Israel, and hope others will join me in doing the same.